A lot of the modern ink bottles in use today are reminiscent of vintage ink bottles. One in particular that gets a lot of attention are the ink bottles (and inks) produced by P.W Akkerman in The Netherlands. 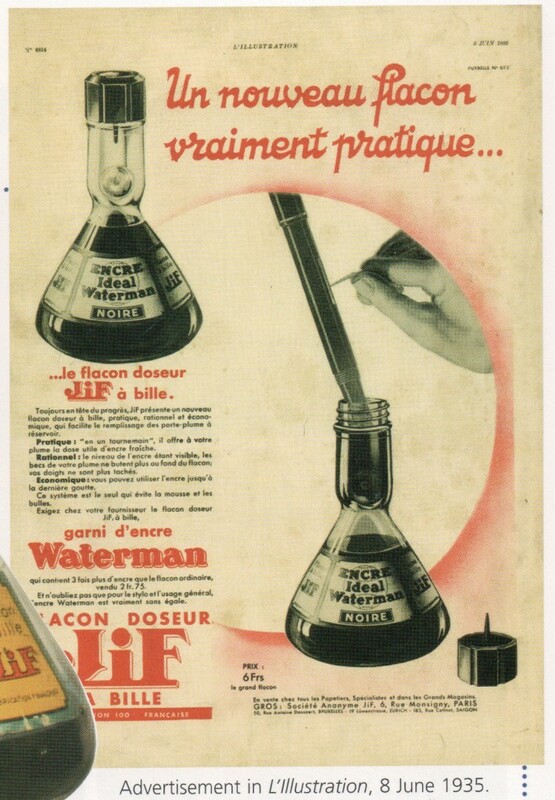 Jif-Waterman was a French subsidiary of Waterman who produced this long neck reservoir ink bottle we all love today. The neck reservoir is filling by tilting the bottle and the glass marble in the neck traps the ink from draining back down. Ink in the reservoir – before and after. Aside from looking really interesting, the bottles were advertised as being very practical, sensible, and economical. They were practical because it offered a fresh dose of ink for your fountain pen – you fill the reservoir, ink your pen, then drain the ink back to the bottom. They were sensible because you could see the ink level and not hit the nib of your fountain pen into the bottom of the bottle, and your fingers would not get ink on them. 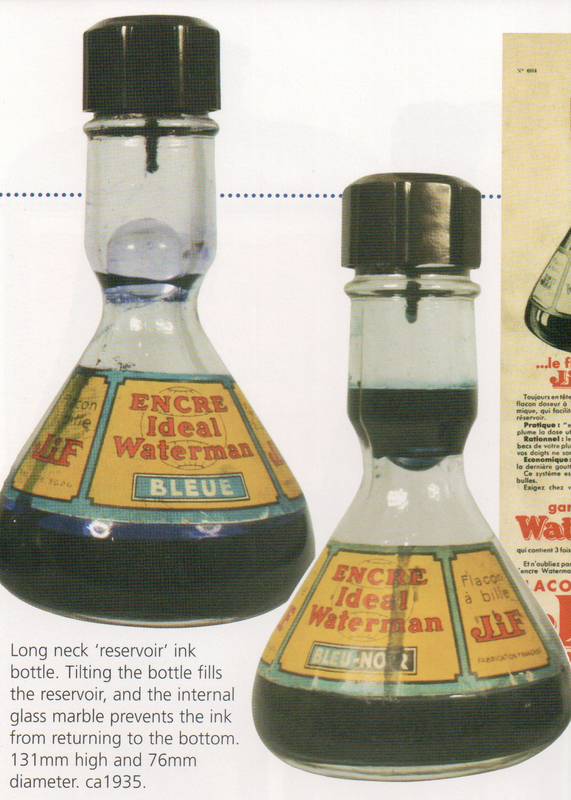 Last but not least, they were economical bottles because you could use the ink to the very last drop. 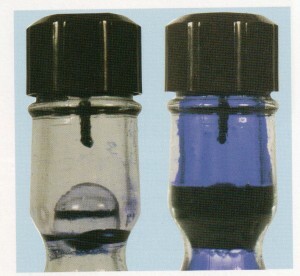 Furthermore, they contained three times more ink than other ink bottles. In 1935, the bottles were 131mm high and 76mm in diameter. If you’d like to learn more about Waterman, please have a look at Waterman: Past and Present. This entry was posted in Ink and tagged Fountain Pens, Go Pens, GoPens, Ink Bottles, Vintage Fountain Pen, Vintage Fountain Pens, Vintage Pen, Vintage Pens, Waterman. Bookmark the permalink. Follow any comments here with the RSS feed for this post. Post a comment or leave a trackback: Trackback URL.